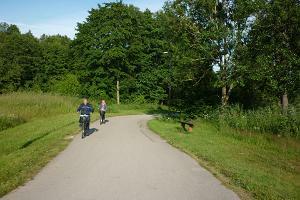 The health track on the right bank of the River Pärnu, known among the locals as the Jaanson's Track, forms a whole with the health track on the left bank of the river, and is one of the favourite places for exercise for the people enjoying the outdoors. 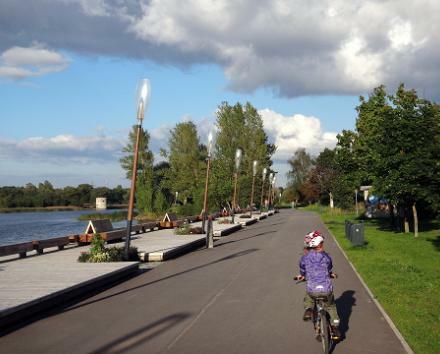 People come here to ride a bicycle, roller-skate, for Nordic pole walking or just to take a walk. The track runs along the right bank of the River Pärnu, uniting the bridge at the city centre of Pärnu with the Papiniidu bridge. 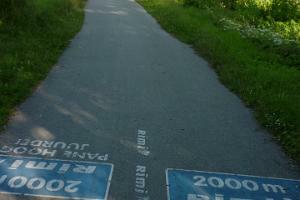 The length of the trail is 4 km. 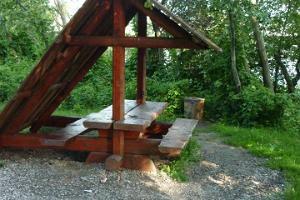 It has benches for taking a break and shelters for a picnic. Part of the trail passes Niidu Landscape Protection Area; therefore, it has more trees and greenery than the track on the opposite bank.